Granite Shield created the first lifetime granite sealer in 2002, the difference is the sealer will last a lifetime without maintenance or reapplication of the sealer. You don't have to worry about wiping up spills immediately, worry about acidic liquids, using coasters or placemats ever again. The process makes the granite smoother, shinier and maintenance free. That's what homeowners want now is an easy to clean, low maintenance home. Quartzite Countertop - Does Yours Do This? Why Didn’t My Granite Fabricator Offer Me Granite Shield? This is the question we get all the time. When a customer of natural stone goes to a kitchen and bath store or to a granite fabricator and purchased their granite countertops many times they are not given the choice to have Granite Shield or explained Granite Shield is available as an option. The granite fabricator many times just says they sealed their granite before installation. Sealers are not lacquers, they wash away. Many times no explanation of how long it will last so the customer a lot of times assumes the granite was sealed and never has to seal it again. That is only with Granite Shield. Even homebuyers of older homes purchase a home and were told the granite countertop was sealed and they assume because it was sealed it never has to be sealed again and then they get a stain. Many times just after a short period after the granite countertop was installed the new owner of the granite their countertop stains or it absorbing even water and they are afraid it will stain and they are afraid to use their countertop. The calls we get include granite countertops purchased from the big box stores that are supposed to have the 15 year sealer and well known 15 year sealers. Many in the granite industry just don’t understand the chemistry of sealers. That not all sealers are the same. That a one polymer sealer will wash away after several times the countertop was cleaned leaving the granite countertop to allow harmful bacteria to embed into the pores allow surface stains. Unless it is Granite Shield, the permanent lifetime sealer with small, medium and large polymers capped with a carbon crystal the sealer is not long term. Permanent and Lifetime VS a long term warranty are 2 different things. Granite Shield on granite countertops permanently bonds to the stone and is embedded deep into the stone along with the different sized polymers, the other sealers don’t. 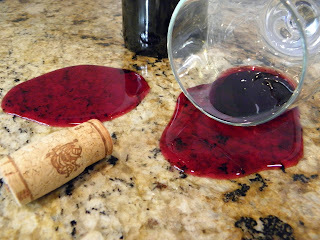 The Granite Shield sealer can’t wash away like the others. Since 2002 Granite Shield has been known in the granite industry as the best long term sealer available and was even being offered by a couple of well-known big box stores to their customer when selling the countertop. Some of the big box stores and large countertop fabricators and manufactures have approached Granite Shield to use Granite Shield sealers but to private label the sealer including for man-made artificial stone countertops which those big box stores had been turned down unless the sealer being used is called Granite Shield, not private labeled. Because we wouldn’t private label the big box stores decided to go a different direction but we get the calls to remove the stains and reseal the countertops. If you simply want the best for the countertop you spent or are spending thousands of dollars for insist on Granite Shield. Granite Shield is not just a sealer protecting your natural stone from stains but it also deeply cleans your stone, makes the countertop smoother and shinier plus you don’t need to use granite cleaners. It doesn’t matter how good of a polish is on your granite, Granite Shield still improves it. There is really no excuse for your granite fabricator or sealing service to not offer Granite Shield to you making it your choice which sealer to go with. If the excuse is it costs too much to get started, we offer a low cost startup kit and a rush is offered to get the startup kit sooner. Insist you have heard about Granite Shield and want the option to have it, it’s easy to apply and it’s affordable to get and doesn’t take long to apply. Insist you want the Cadillac of granite sealers not the Volkswagen Beetle of granite sealers. Your Granite fabricator can get started and licensed with our trial offer for as low as $349.99 plus shipping and the starter kit can seal 2 to 3 countertops depending on the sq. ft. that needs to be sealed and how porous the countertops are with a lifetime warranty. Granite Standard Sealers and 15 Year Sealers - How Long Do They Really Last? Unfortunately many customers of granite are misled in believing that because their granite had been sealed during fabrication or the day of the granite countertop installation that the granite never needs to be sealed again or doesn’t have to for 15 years. Unless it is Granite Shield, the permanent lifetime sealer with small, medium and larger polymers capped with a carbon crystal the sealer is not long term. Even today the big box stores claiming they are selling a granite countertop with a 15 year sealer Granite Shield receives many calls because their countertop from the big box store stained and they need the stain removed and countertop resealed. That includes granite countertops sealed with a well-known Australian company and a well-known granite and tile company that has a private labeled sealer. The other standard sealer or even so called 15 year sealer is a standard one polymer sealer. A one polymer sealer for one easily washes away leaving the pores of the granite and surface exposed to staining and bacteria and are not long term even if they have a 15 or 20 year warranty. Permanent and Lifetime and a long term warranty are 2 different things. Granite Shield on granite countertops permanently bonds to the stone and is embedded deep into the stone along with the different sized polymers, the other sealers don’t. Owners of granite countertops in many cases have not been educated about granite and natural stone. Many believe it’s just a rock and rocks are hard and will never stain or just a standard sealer or 15 year sealers once applied their countertop will never need to be sealed again. That simply isn’t true. Pick up a rock and pour water on it and what happens? It gets dark, water penetrated that stone. Just because a granite countertop was polished doesn’t mean water won’t penetrate that stone especially if the granite has, white, yellow, gold, tan or gray in it. Those are the most porous stones and stain. Many that seal granite countertops have been using the same product for years. Many are old school and really aren’t interested in change. Many aren’t interested in explaining the difference to the customer and letting the customer decide because easy or being familiar with something is easier than the best. The new product may cost a little more for themselves to purchase and the case is because the raw material such as the polymers to make the product cost more money to manufacture not to just charge someone more money. They may never see that customer again so it doesn’t matter what happens in the future or the purpose is to see that customer again as a repeat customer and charge to reseal. Since 2002 Granite Shield has been known in the granite industry as the best long term sealer available and was even being offered by a couple of well-known big box stores to their customer when selling the countertop. Some of the big box stores and large countertop fabricators and manufactures have approached Granite Shield to use Granite Shield sealers but to private label the sealer including for man-made artificial stone countertops which those big box stores had been turned down unless the sealer being used is called Granite Shield, not private labeled. "I use to be a Regional Manager for Innovative Stone LLC. Prior to my resignation in 2009, my territory spanned Philly, Pennsylvania to Kitty Hawk, North Carolina and contained 83 Home Depot stores and almost a dozen ICF (Innovative Certified Fabricators), Everlife and national program fabrication facilities, Innovative Stone LLC. is the national provider of Permashield which is currently used to treat Stonemark, The Home Depot's branded natural stone product and also Everlife, Innovative Stone's own national brand. Cosentino, DuPont and Artisan are also national competitors, marketing their claims of superiority of performance for their pre-treated granites backed by a 15 year warranty. Throughout my career I have become intimately acquainted with most national pre-treated products and have come to my personal conclusion that Granite Shield offers a unique set of benefits to the end-user that other programs cannot provide. One of the benefits is that Granite Shield does not narrow a client's selection of stones to a pre-determined color pallet of just 30 to 50 stones in a polished granite category. Granite Shield allows for the highest level of protection on any color available in the industry and the performance of that protection is absolutely the strongest benefit beyond and question. With Granite Shield, I was most impressed that spills do not need to be wiped up immediately, the product has a less than 1% failure rate and the "lifetime" coverage is not limited to a pre-determined service life that qualifies as lifetime. With Granite Shield "lifetime" refers to the actual service life of the stone surface. Also, there is no required maintenance, the product does not require re-application at any time and the use of ammonia glass cleaners and bleach based household cleansers all prove acceptable products for cleaning. These are just a few of the major differences I found with Granite Shield compared to even the best national products which, in my opinion, do not even begin to provide these benefits or performance longevity. The comparison is so simple... anyone inclined to protect their investment with a pre-treated product need not do a thing but go to every manufacture's website and print a copy of that product's warranty, then compare the contents to the warranty provided with Granite Shield. The difference becomes blatantly evident from even the first line. The other national brands offer a 15 year term of coverage defined by their own words as "limited". I've always felt the warranties should NOT be marketing tools used to sell a product, but then offer no protection in the event that coverage is needed. A warranty should be a declaration providing a guarantee of product performance that can be expected by the customer and offering the coverage needed to deliver that performance in the event of an unexpected failure. My research has led me to a personal conclusion that Granite Shield is the only national level product on the market providing that guarantee of performance while fully minimizing the end-user's responsibility to provide and maintain maximum performance and coverage. Granite Shield is revolutionizing the industry and are quickly becoming the "new stand" in treated surfaces. The best way I have articulated this in the past is by stating, "Yesterday (these other) companies set the bar with a record breaking high jump by introducing their pre-treated programs, but today, Granite Shield has landed on the moon!" Granite Shield created the first lifetime granite sealer in 2002, the difference is the sealer will last a lifetime without maintenance or reapplication of the sealer. 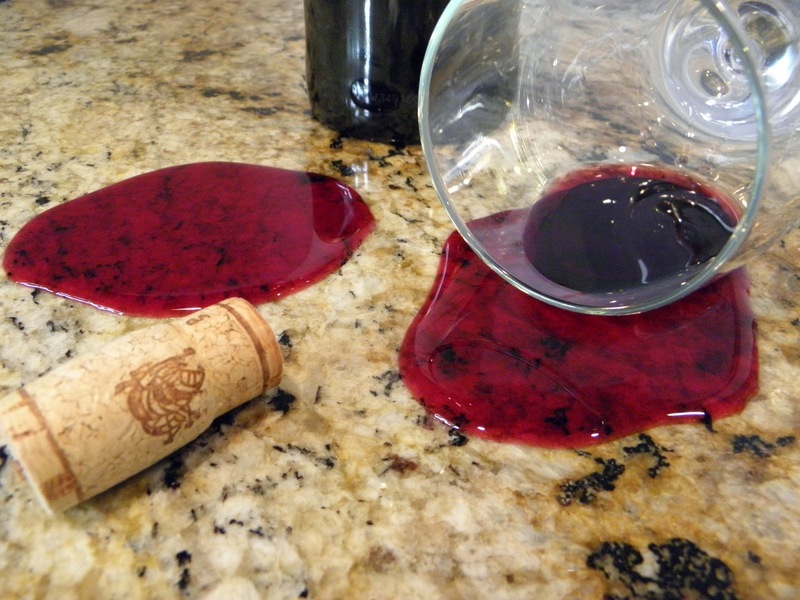 You don't have to worry about wiping up spills immediately, worry about acidic liquids, using coasters or placemats ever again. The process makes the granite smoother, shinier and maintenance free. That's what homeowners want now is an easy to clean, low maintenance home. The process contains no plastic or silicone and it is a breathable, penetrating sealer and will not scratch or yellow. 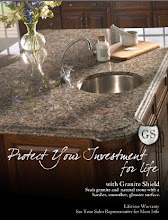 Granite Shield has sealers for all natural stone, glass, stainless steel and concrete. Make your flooring look new, countertops will look better then ever. Full service cleaning and restoration services including natural stone sealing, stain removal, marble polishing, grout and tile cleaning and more are available in most areas. Restore and seal your countertops, flooring, stainless steel appliances, shower doors and shower walls.